Editor’s Note: Today we add another post to our ongoing Hidden Figures of Drug History series, which highlights the historic roles women have played in drug and alcohol culture in the United States. Note that next week Points will be taking off on Tuesday to celebrate Christmas, but we’ll be back on Thursday and throughout the rest of the year with more great content. Happy holidays to you and yours from your friends at Points! Editor’s Note: This is the second installment in our new Hidden Figures of Drug History series, with more to come in the future. Next week Points will feature more exciting news about drug and alcohol history in the media, as well as a great recap of LSD use in New York City in the 1960s. Enjoy this post and come back next week for more! 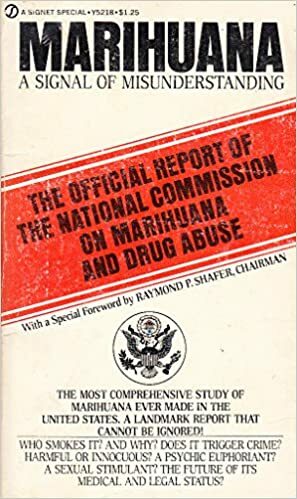 There are few subjects I like writing about more than the National Commission on Marihuana and Drug Abuse’s 1972 report, “Marihuana: A Signal of Misunderstanding.” Also known as the Shafer Commission, the group’s report enlivened my book Grass Roots, and I’ve continued to mine it for material on how we can understand the Trump administration’s response to the opioid overdose epidemic today. But there’s something of particular interest for those who want to understand the role gender has long played in American drug history within this report as well. And that’s a name that appears within the list of the commission’s thirteen members, nine of whom were appointed by President Richard Nixon, and four of whom were senators and members of Congress. And that name is Mrs. Joan Ganz Cooney.